Dimensions: total height 103cm, seat height 65cm, width 47cm, depth 51cm, weight 5,8kg. 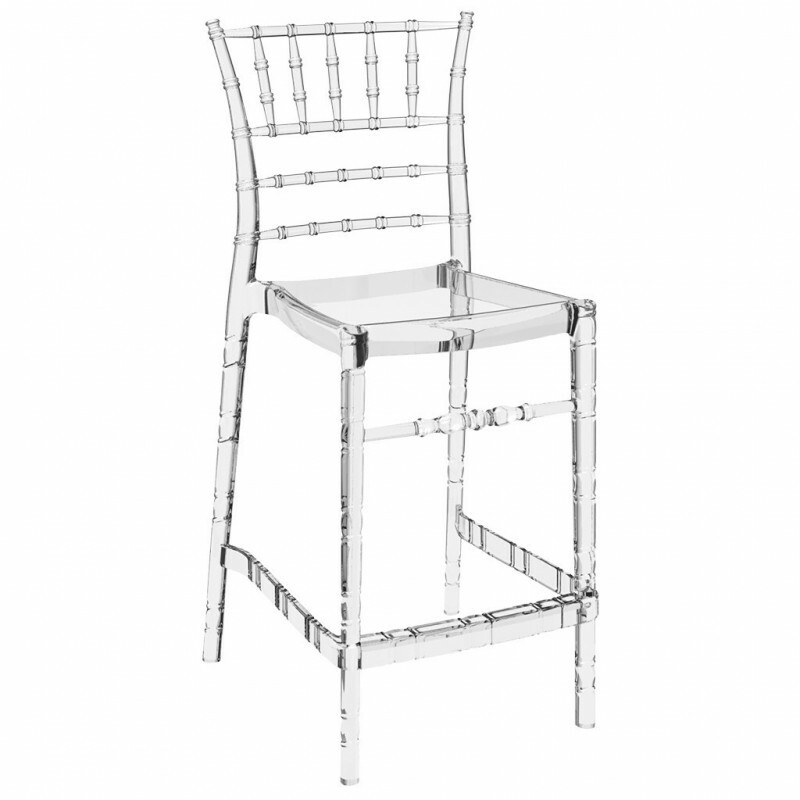 CHIAVARI BAR is an original stool from the liberty style, re-proposed in a modern way. Excellent solution for events such as weddings or for original settings. 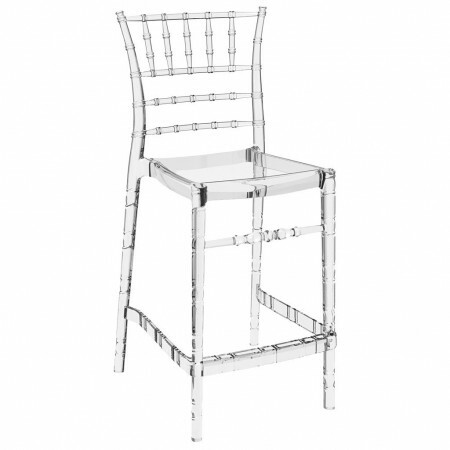 CHIAVARI BAR stool is stackable and suitable for indoor and outdoor use. Made of polycarbonate and resistant to scratches, equipped with UV rays protection treatment. Also available with 75cm height.